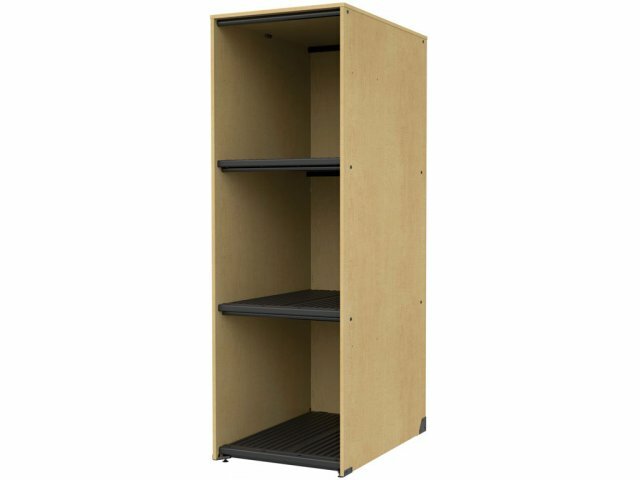 A single door provides access to all three compartments of this instrument locker. It provides the perfect storage space for Euphoniums, Mellophones and Baritones. 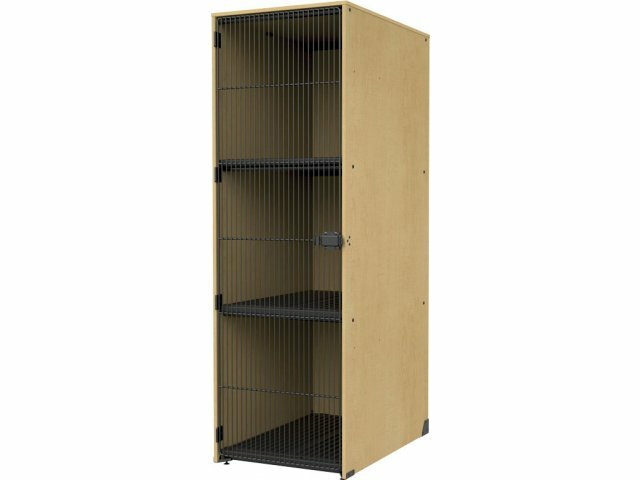 Maximize ventilation and security with Band-Stor Grille Door Instrument Lockers. 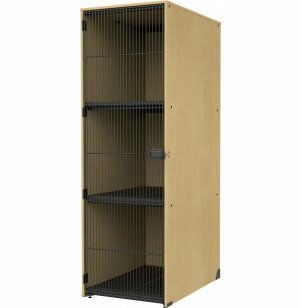 A sturdy design with built-in enhancements makes this instrument storage a real winner. 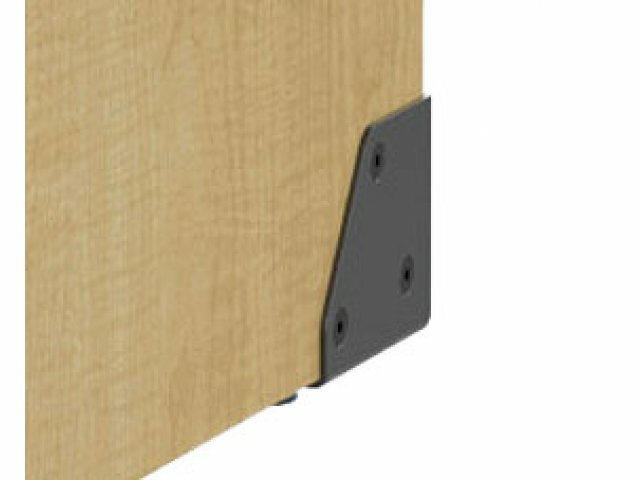 Steel tubes under the front and back of every shelf and heavy-duty hardware provide durability you can really count on. Polyethylene shelf liners promote airflow around instruments and cases to prevent moisture buildup. Black grille doors on your instrument lockers keep contents securely in view. An automatic thumb catch holds doors in the closed position, with the option of adding a padlock for ultimate protection. This band storage is designed for your convenience. A modular design lets you choose the style that best suits your unique combination of instruments, while internal levelers facilitate easy adjustments. Get the utmost in band storage and see just how easy it is to keep your instruments organized. Perfect Fit: Stores 3 Baritones, Euphoniums or Mellophones. Optimal Acoustics: Grille doors minimize sound reverberation, making them the ideal option for practice and rehearsal spaces. Super Sturdy: Steel gable plates provide extra reinforcement.